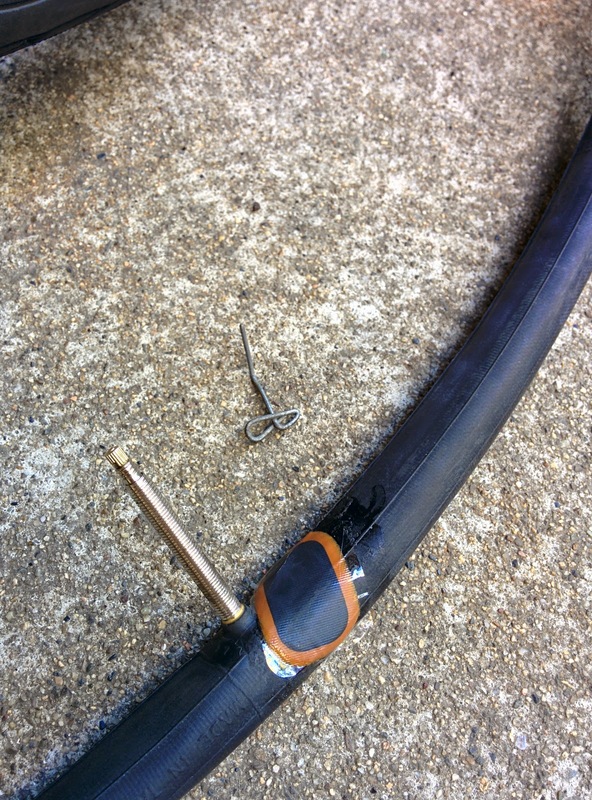 That metal thing found its way into my bicycle tire when I was commuting to work in the morning a couple days ago. It took two patches to repair the damage. A small one where it entered the tube, and a larger one on the opposite side. ... for a couple days. The patches are not quite 100% tight.